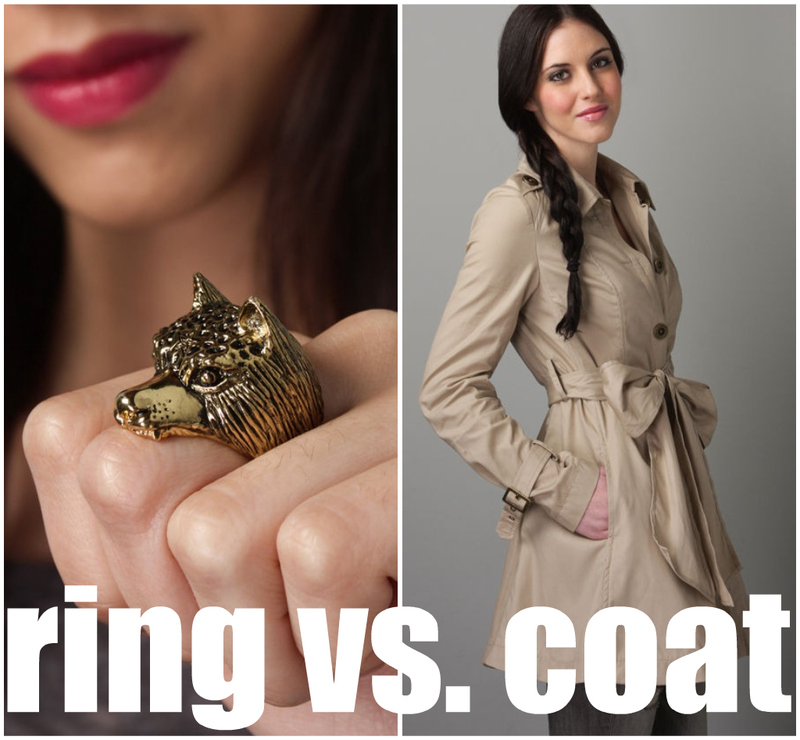 Wolf Ring vs. Trench Coat: FIGHT! So remember yesterday when I said I'd have no trouble at all spending the $50 Lulu's gift certificate that I won? Yeah. I was wrong. Can someone PLEASE tell me that the trench coat is a much better buy than the wolf ring? But c'mon! It's a wolf! I have an affinity for wolves after this audition back in the day. Gah! Plus y'all know I have a weakness for animal jewelry. But, gosh! I have plenty of animal jewelry. I do not have plenty of coats! Sorry for the lack of posting today. I was running around like crazy today, and then I started feeling a little under the weather, so I'll be going to the doctor tomorrow to see what's up. A wolf ring would probably make me feel better, though. Right? Right? Don't answer that. Someone be the voice of reason! Someone tell me to go for the coat, instead. My WORST story is a winner!